• Text fields are suggestions only. Add any info you like. 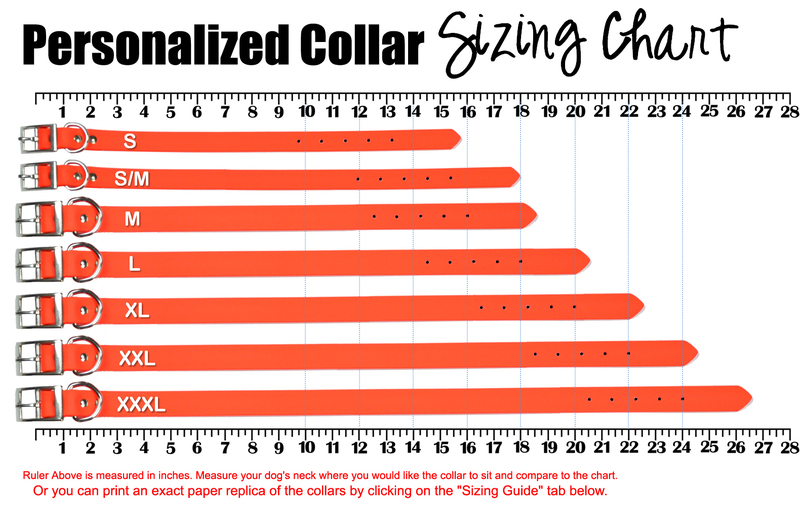 New PRINTABLE collar for exact sizing below. Try it on your dog before you buy it. Due to the custom engraving required for the ID tags, please allow 2 business days before shipping. Tags ship separately from collar (at no additional charge) and may arrive a couple of days later. 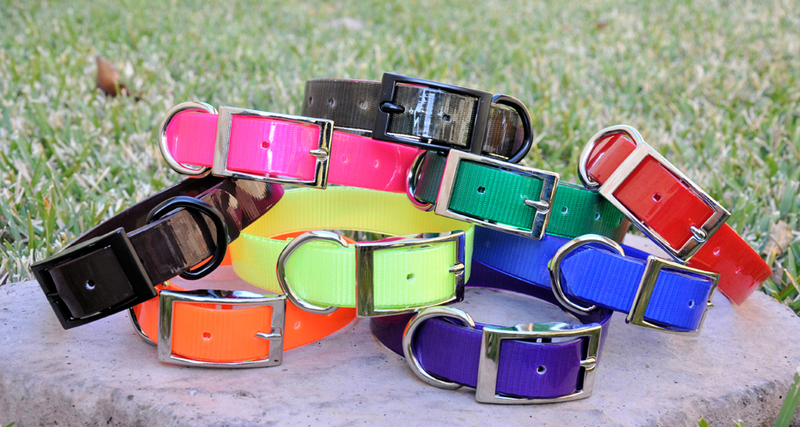 Personalized waterproof dog collars with stainless steel nameplate ID tag. 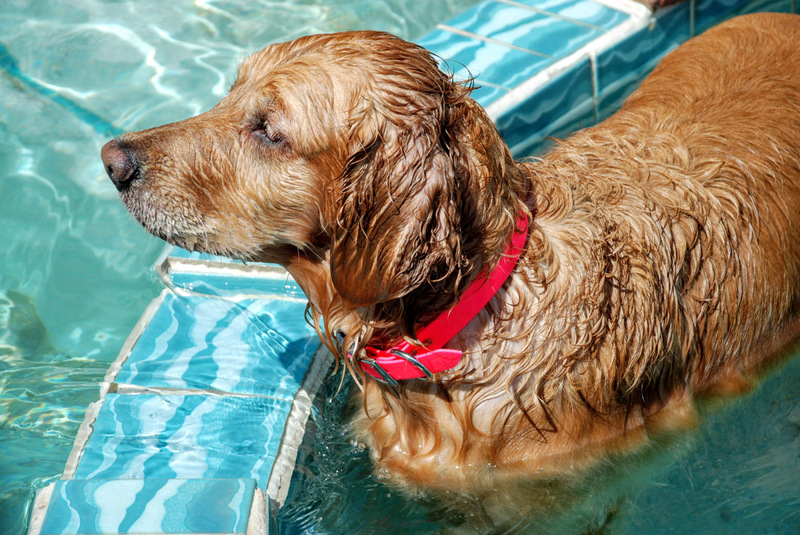 Bright, easy-clean urethane coated nylon is completely waterproof and will never smell. 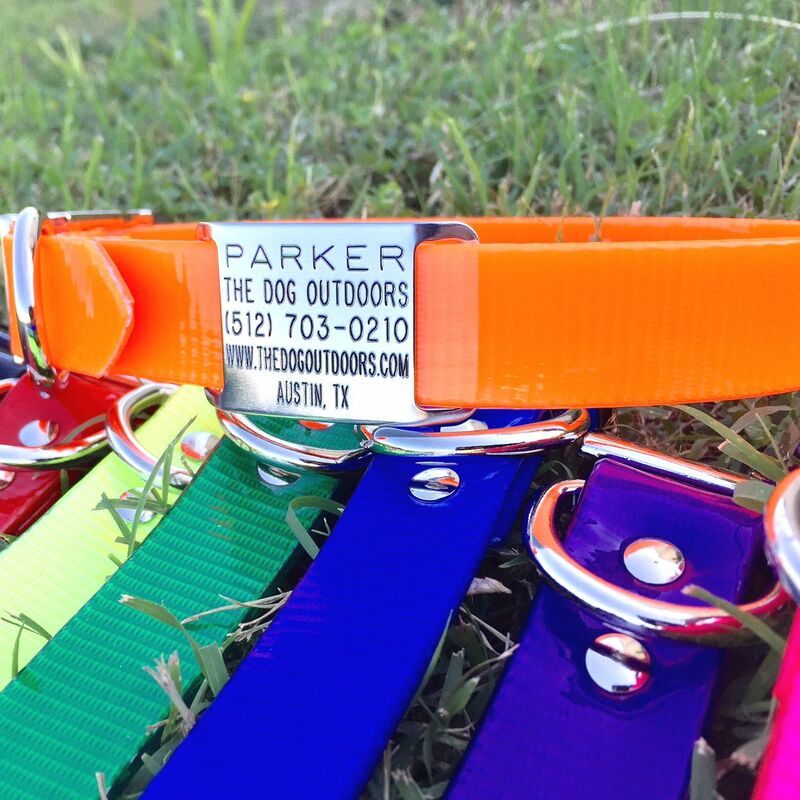 Nameplates are deeply engraved and come with a guarantee that the text will remain legible for the life of your dog. The stainless steel nameplate can easily be removed and transferred to another collar if desired. Won't harbor dirt, smells, or bacteria. 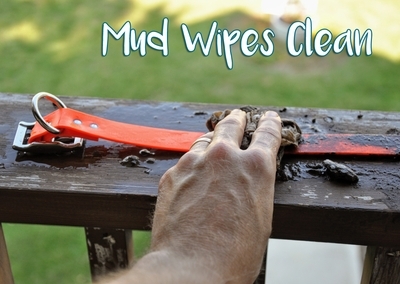 Simply rinse or wipe clean. Choose the correct size collar for your dog and pick the color you like. 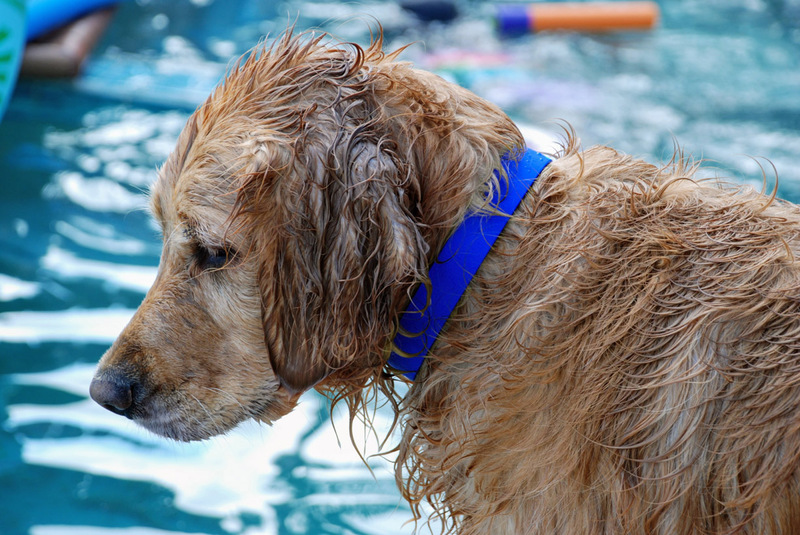 We offer several ways to measure and ensure the right fit. If needed you can cut or add holes to these collars. 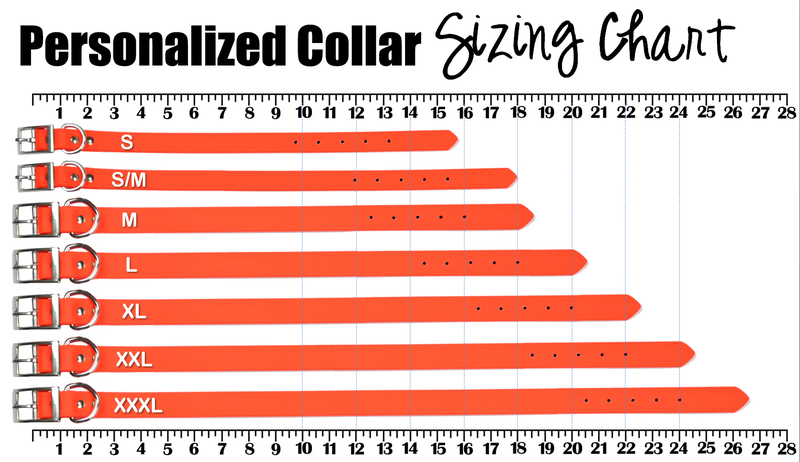 *OR take a look at the chart below to see exactly where the holes match up on each collar size. *If you are having trouble viewing the image above and don't have a printer nearby, see the measurements below. 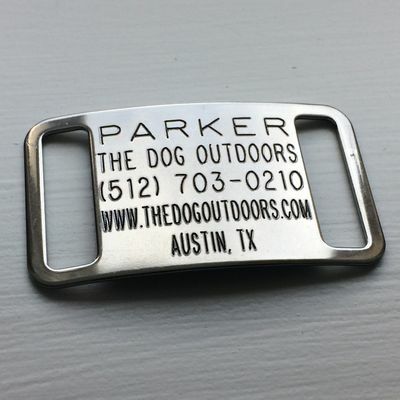 Choose the information you want to be engraved on the stainless steel slide-on tag. The fields listed above are just suggestions for the information you can include. You can provide any information you like in these fields or even leave some blank. 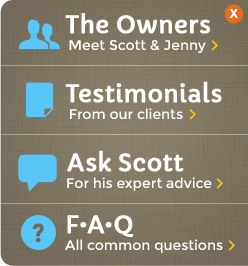 If one or more fields are left blank, your dogs name will automatically be larger. Text is deeply engraved in all caps for legibility. That's it. We will get your personalized collar out the door within 1 to 2 business days.